Affiliation will raise funds and awareness for an organization that reaches millions of people challenged by invisible disabilities. This partnership offers us a way to give back and be a responsible partner in the community, but it also can help expand the services and support community many of our clients rely on. One Call Alert, an industry leader in the personal emergency response system space, today announced the formation of a strategic affiliation with the Invisible Disabilities Association that will help raise awareness and funds for the non-profit organization. The mission of One Call Alert is to enhance the lives of their clients by providing a service that gives them the security and peace of mind necessary to live independently. The strategic affiliation forwards the mission by helping to fund programs that provide support for those with unseen chronic medical conditions; unseen chronic medical conditions that many One Call Alert clients suffer with every day. Unlike organizations that pertain to just one condition, the term “invisible disabilities” covers hundreds. Therefore, the Invisible Disabilities Association does not attempt to supply a vast amount of detailed information for every diagnosis. Instead, the Invisible Disabilities Association’s website, publications, seminars and awareness address all debilitating conditions that are often misunderstood. The Invisible Disabilities Association encourages, educates and connects people and organizations touched by illness, pain and disability around the globe. “What moved me to launch IDA was my desire to care for others. People who live with an invisible disability oftentimes become part of the shadows. They need care which can be defined as “health, welfare, maintenance and protection.” But sometimes caring can be hard to come by. Many times a person living with illness ends up all alone because of being misunderstood and disregarded due to the invisible nature of their illness and pain. They need help and I believe One Call Alert provides a solution of caring amidst the isolation,” said Wayne Connell, Founder & President of the Invisible Disabilities Association, in a statement announcing the partnership. One Call Alert enables independent living at home for seniors and others with 24/7 medical alert monitoring. One Call Alert is simple to use and reliable. Our No-Installation-Needed system delivers emergency care with just one push of a button. Whether you slipped in your kitchen and just need a neighbor to help you up or you are having a medical emergency and need a paramedic, One Call Alert will be there for you. Visit http://www.OneCallMedicalAlert.com/IDA, email info(at)OneCallAlert(dot)com or call 800.994.2095. 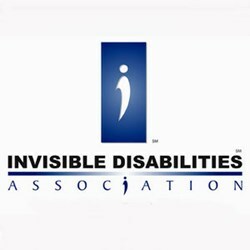 The Invisible Disabilities® Association is a 501(c)3 non-profit organization based in Parker, CO which encourages, educates and connects people and organizations touched by illness, pain and disability around the globe through its website, online social network, literature, projects and seminars. For more information, visit http://www.invisibledisabilities.org. If you would like more information about this topic, or to schedule an interview, please contact: Justin Noland at (800)994-2095 or email info(at)OneCallAlert(dot)com.